Here at Proflo, we proudly install Carrier products to give our clients the best HVAC systems and products on the market. We believe you deserve nothing less than top of the line. Carrier has been around since 1902 and have developing and growing ever since. They strive to be the best in energy efficiency which means they’re saving you money and they’re saving the environment. If you are not already convinced, here is a list of what you can expect when you choose to install Carrier products in your home. Carrier works to remove humidity from your air. No more dry spells and no more feeling stuffy. You run your air conditioner to feel fresh and comfortable so these products keep it simple. No one loves hearing the beautiful sounds of their air conditioning running all summer long. No way! Carrier products work hard to stay quiet so your summers can be comfortable, peaceful, and cool. You can stay content knowing that your comfort is not hurting anyone or anything. Your Carrier products are eco-friendly and they use a coolant that is not harmful or damaging to the planet. Carrier allows you to track how you’re using your energy. This allows you to have a better understanding of where it’s being used and take preemptive steps to save money. Plus, you’ll know exactly where your money is going and won’t be blindsided by unwanted billing surprises. Carrier products allow you to dynamically modify your home temperature. It can even be changed from room to room allowing for full control of temperatures all over. No more fighting over whether your son is too hot while you’re sweating in the kitchen. Make it feel right exactly where you are! 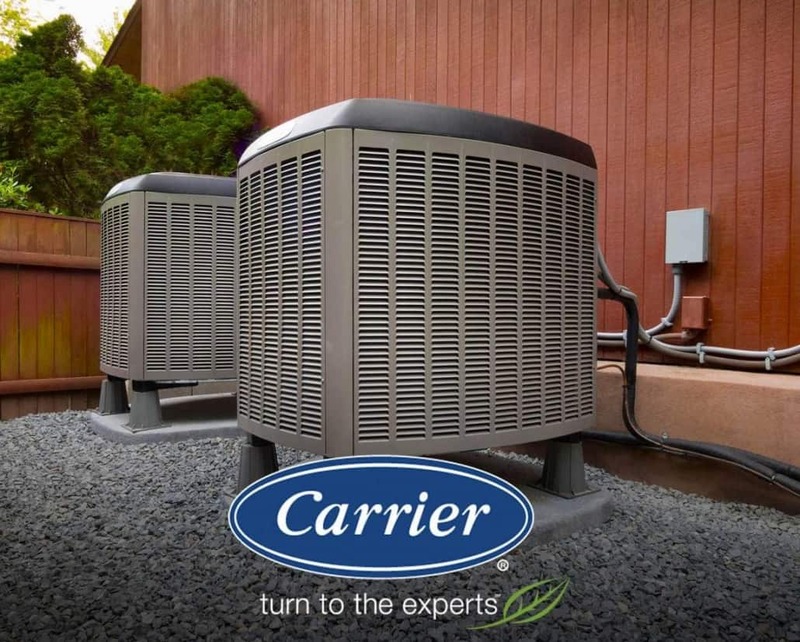 If you’re convinced that Carrier is the HVAC brand for you, let us know. Call Proflo today for a free quote and change the air game this summer!